There’s insufficient evidence of the health benefits for millions of women who aren’t pregnant and who aren’t experiencing problems to undergo regular pelvic exams, a top federal task force on preventive care says. Tens of millions of women get the exams each year, even though they are intrusive and uncomfortable. More important, research has failed to demonstrate that the procedure prolongs women’s lives or decreases their chances of developing illnesses like ovarian cancer, the influential U.S. Preventive Services Task Force has advised. Task force experts scoured six decades of medical literature, and found just eight studies that scrutinized pelvic exams’ diagnostic accuracy in just four conditions. Based on this information, plus evidence that the exams can cause false positives that result in unneeded care, the panel said women should not routinely assume they need this exam, as they do now. The Task Force, an independent and widely respected body, isn’t saying positively that women should refrain from getting annual pelvic exams. Rather, it’s only saying there is no solid evidence of lifesaving benefit from having it done when you’re free of any worrisome symptoms. 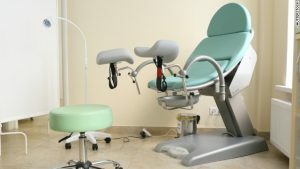 Pelvic exams have become a subject of considerable dispute in recent years, as physicians and insurers tussle over costs and efficiency in health care. In 2014, the American College of Physicians, an internists’ group, concluded as the Preventive Services Task Force has, that the benefits of pelvic exams were unclear and the exam should not be given routinely to healthy women who are not pregnant. Experts say the rate for false positives from the exam can run as high as 46 percent; the exam also can give false assurance when early stage diseases go undetected. Many women experience considerable discomfort when positioned in stirrups and poked and prodded as part of the procedure. Male physicians now typically also must ensure that a female nurse or physician’s assistant is present during this exam. Though the task force stopped short of saying women should omit the pelvic exam, the group noted the procedure may be appropriate if the patient has health issues or concerns like bleeding.